Joan Harrison (left), who slipped on some black ice recently, cracking her hip as she left her yoga group at the YMCA. 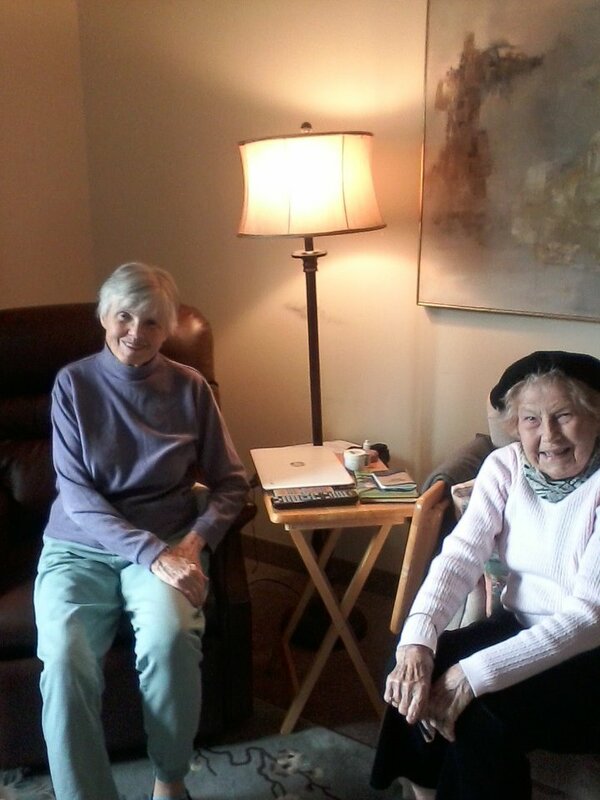 Dr. Klein patched her up and sent her home where Betty Phillips stopped by for a quick visit last week. Between them they have accumulated 181 years of knowledge and life. Two amazing women!